acQuire, a global technology company providing software to the world’s natural resources industry, is supporting those affected by the devastating wildfires that swept through Northern Alberta, Canada earlier this year. The Canadian based office for acQuire Technology Solutions decided to support Calgary Food Bank’s Fort McMurray Fire Response program as part of its charitable Community Connect program. 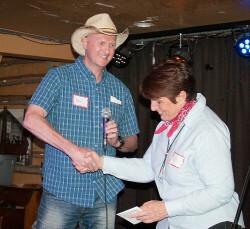 acQuire made a donation to the cause at its 20th Anniversary event held in Calgary last week. Calgary, Alberta Canada (19 July 2016) – acQuire Technology Solutions is a values-based company with a focus on resilience. With this focus in mind, the company has chosen to support the community affected by wildfires that burned through parts of the Regional Municipality of Wood Buffalo and the City of Fort McMurray in early May. Fort McMurray is also the heart of Canada’s oilsands industry. Many of the oilsands companies operating in the area were forced to shut down operations or reduce production during the fires as employees and their families needed to be evacuated from the area. “The impact of the wildfires was felt by all of us based in Alberta”, said Paul Whelan, Managing Director – North America for acQuire. 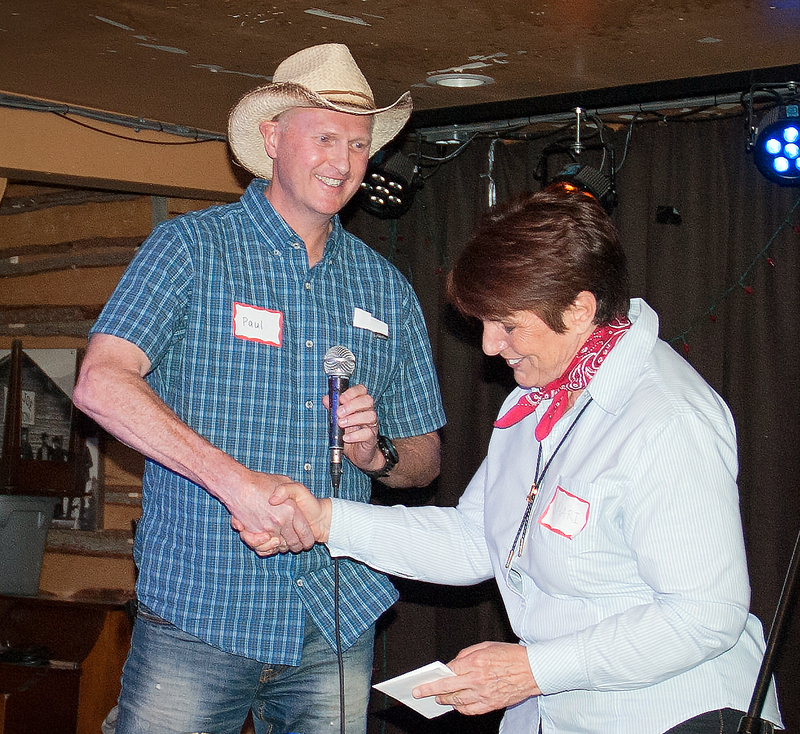 Paul Whelan presented a cheque for $1000 to Shari Harding, Alumni Board Member & Volunteer for the Calgary Food Bank, on Thursday 14 July at an evening event marking the company’s 20th year in business. acQuire’s donation will help provide food packages to residents and businesses as they continue to rebuild and repair the region. In the #AlbertaStrong response to this disaster, the Calgary Food Bank collected, stored, and distributed over 300,000 Lbs of food to the Wood Buffalo Food Bank and surrounding communities including Athabasca, Edmonton, Lac la Biche, and Leduc food banks. To date, over $62,000 has been raised through the Calgary Food Bank to support the Wood Buffalo Food Bank to purchase essential items including but not limited to: milk, eggs, fresh produce, and proteins. The Calgary Food Bank will continue to collaborate with Alberta Food Banks and support the Wood Buffalo Food Bank through this lengthy recovery process. Many residents are without work making continued support of local food banks an essential service. The Calgary Food Bank alone has served 128 emergency hampers to evacuees since the May 3 evacuation. Of the 100,000 people displaced by the wildfires, 70,000 are still in the recovery process. Before this disaster, the Wood Buffalo Food Bank distributed 20 to 30 emergency food hampers each day. Since their re-opening to clients on June 11, they have seen the need dramatically increase to 120 to 150 emergency hampers distributed per day. Resources and hours of operation have been extended to meet this need. acQuire’s Community Connect committee investigates ways to make a difference in the regional communities attached to our worldwide offices. It is the first time acQuire has supported the Calgary Food Bank. For further information about one of the most gratifying parts of the acQuire business, head to acquire.com.au. To support the Fort McMurray Fire Response program, head to the Calgary Food Bank website for more details about how you can contribute.